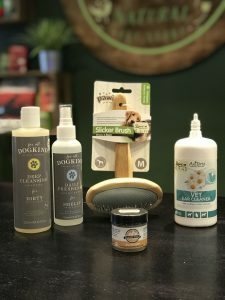 Tasha from our Ethical Pet Spa, goes through some of the grooming dos and don’ts for the coming months. As the weather is gradually getting colder and wetter, a lot of dog owners often think it is best to leave their dogs coats longer, or to get them groomed less frequently. Although this may seem like the right thing to do, your dog is more likely to be uncomfortable after those muddy wet winter walks – here are a few reasons why. Long fur takes longer to dry – a wet damp dog is an unhappy dog, which also leaves you with a smelly house. Wet fur left to dry naturally, without brushing, easily gets matted – leading to skin irritations and a more expensive groom next time around! It’s also worth bearing in mind that most dogs spend a lot of the day indoors with the heating on, or curled up by the fire, so they are possibly not as cold as you think they are. 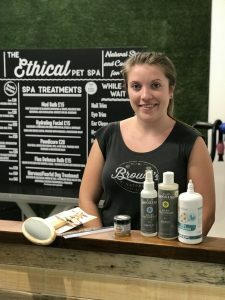 We would advise bringing your dog in regularly every 4 weeks in between their full groom (6-8 week slots) for a spruce up which would include a bath, blow dry, nail trim, feet and face tidy for just £28. Get your dog booked in now to keep them looking and feeling their best this winter! 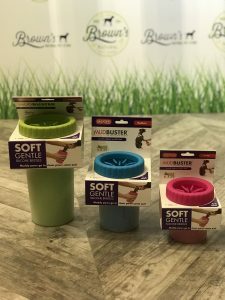 For All Dog Kind Dirty Dog Shampoo – Perfect for using after muddy walks. It’s incredibly cleansing and like all our treatments and products – 100% natural and free from chemicals.